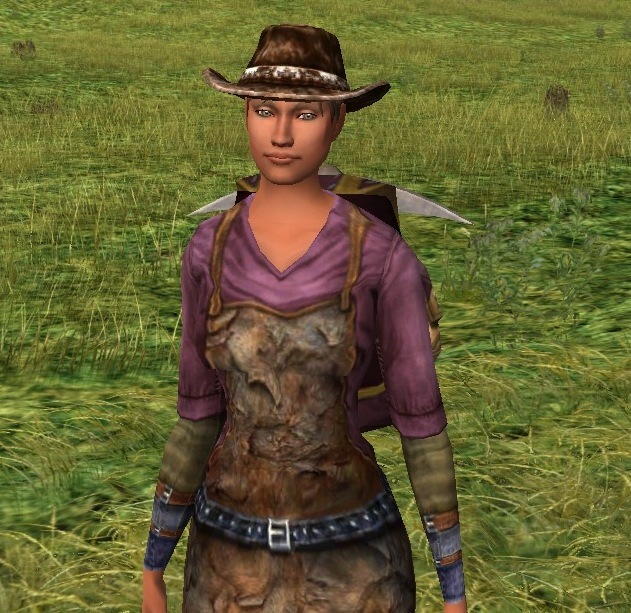 Funny story; I actually wore the blacksmith’s tunic through a significant portion of the Lone Lands, because I’d been wearing such dull mismatched armour for so long (seemingly) that all of a sudden having bright colored, good looking armour was too much of a shock to my system. The story I told myself was that my guardian was wearing her blacksmith’s garb over her chainmail to tempt the various goblins, bandits, orcs, etc. into attacking her and then surprise! They couldn’t kill her, and died instead. 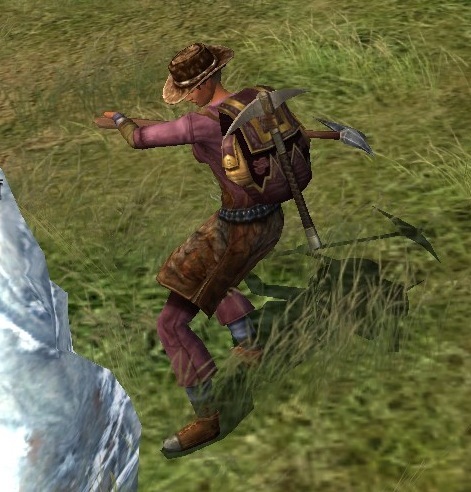 Now I use the outfit for its intended purpose 🙂 Later, I added the snow-dusted travelling hat and the dwarf-make prospector’s pack. 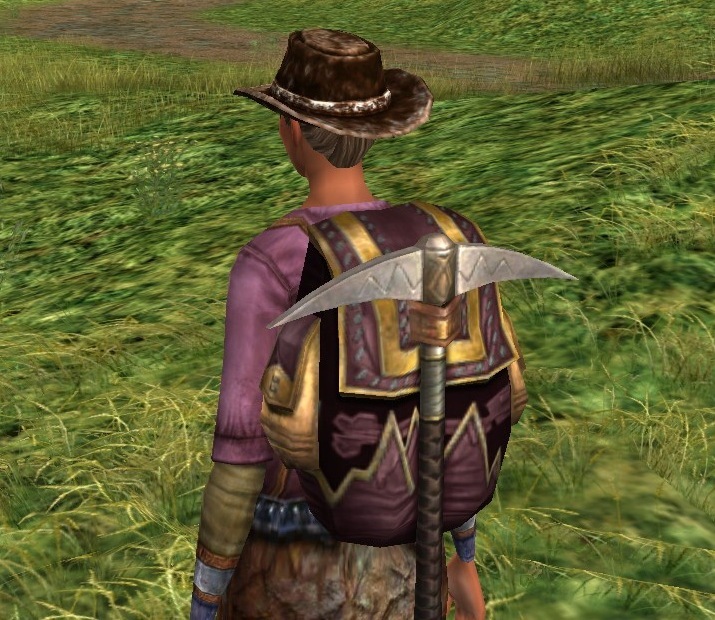 I actually think a different prospector’s pack might go better, the dwarf-make one looks a bit too nice for this rugged outfit. But as it’s my favorite (I love the mountains on it! ), it stays. I love how the snow dusted traveling hat looks like the same rugged, well loved leather the apron is made of.